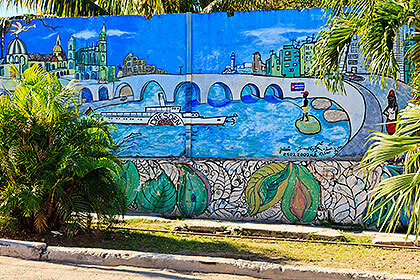 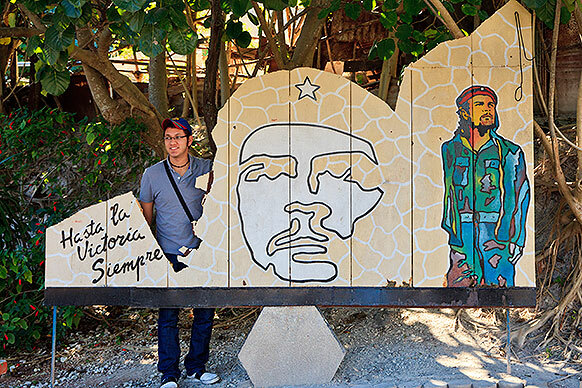 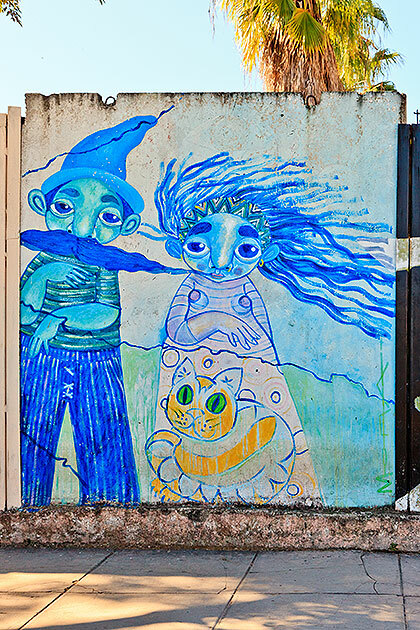 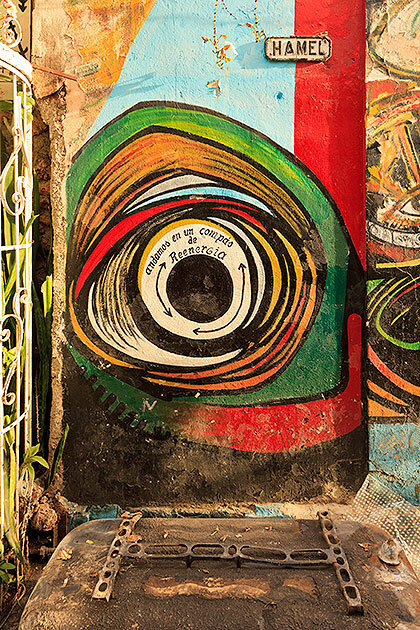 As just about everyone knows, art is alive and thriving in Cuba, and especially in Havana. 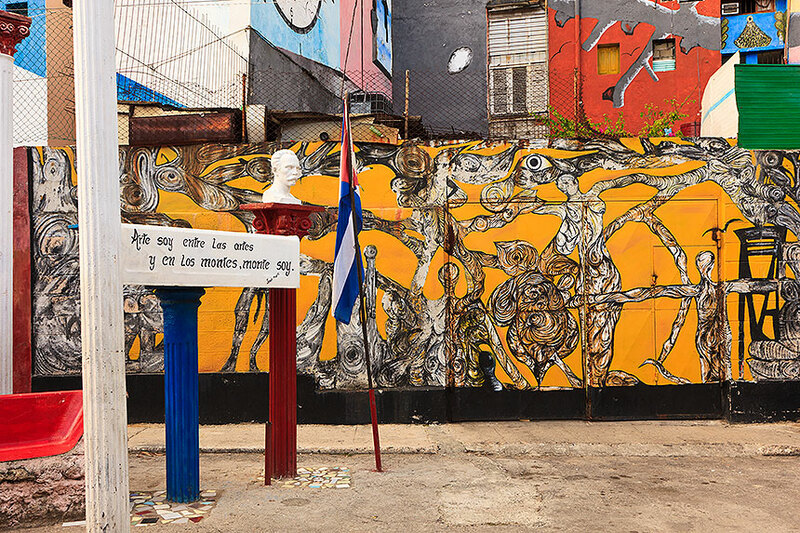 Besides museums (where photography is prohibited), we visit several art projects in Havana communities, where vibrant art is flourishing in public or semi-public places. 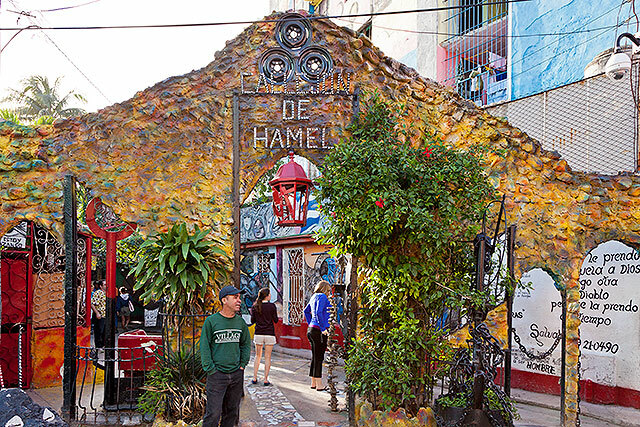 These include the José Rodríguez Fuster Art Project, the Callejón de Hamel of Salvador Gonzáles Escalona, and the neighborhood art project of Muraleando. 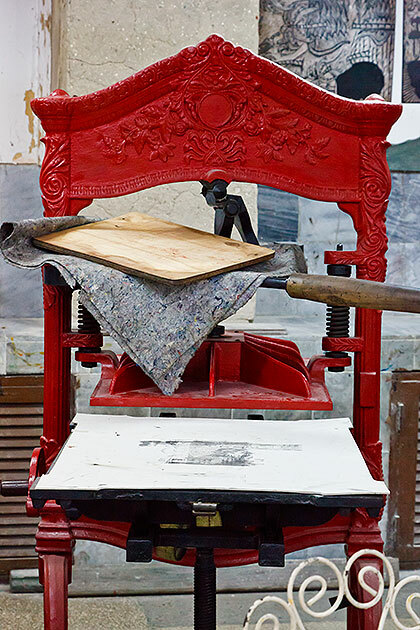 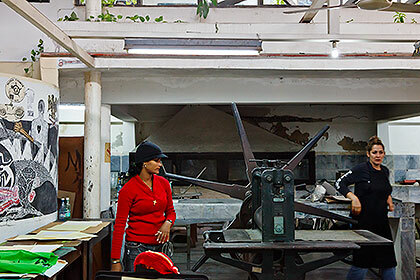 We also visit the Taller Experimental de Graficá workshop in Havana, where a wide variety of processes are employed in print making. 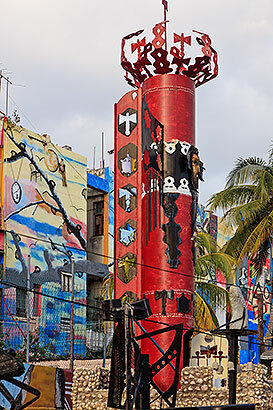 Due to the number of sites and the high visual impact of art seen there (and now here), this will be a very tall web page, so just keep on scrolling down! 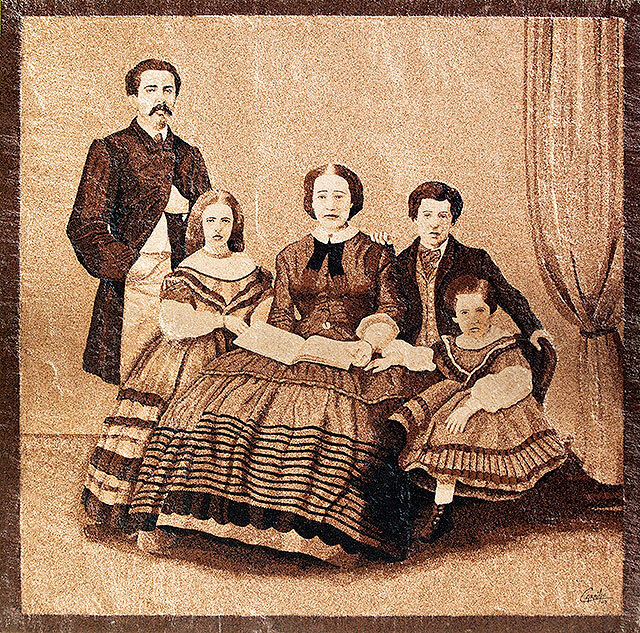 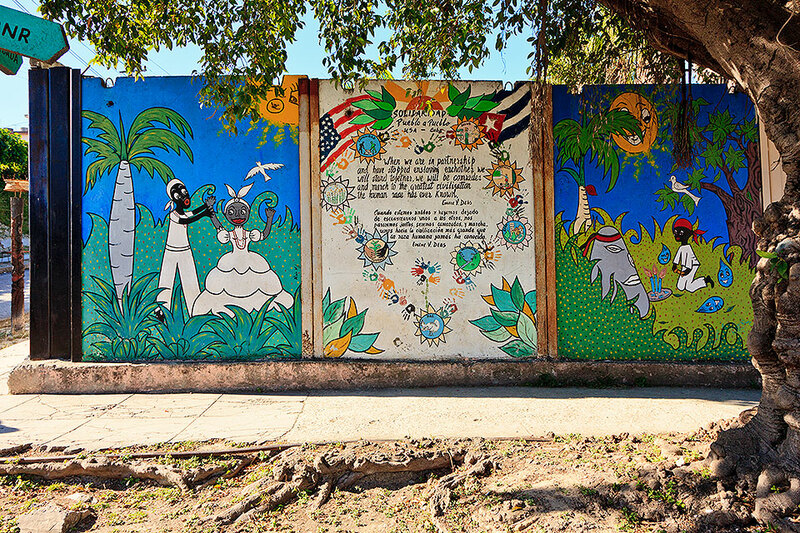 The Colonial Cuban family shown at right is seen on Mercaderes Street in Havana. 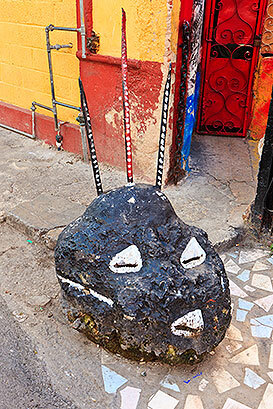 It seems to be painted or etched directly onto a slab of stone, but we are unable to provide any other information. 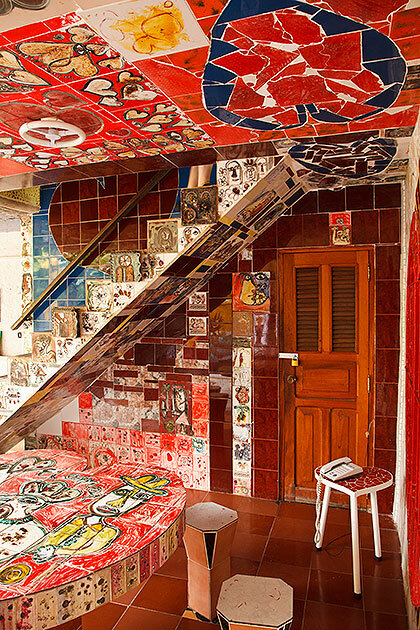 This is the entrance to the gallery and workshops of José Rodríguez Fuster, a naïve artist specializing in ceramics, painting, drawing, engraving, and graphic design. 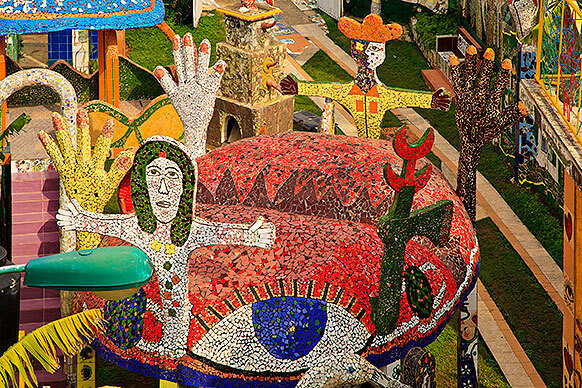 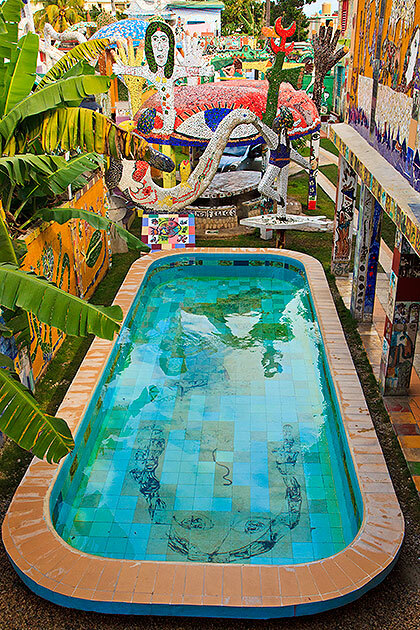 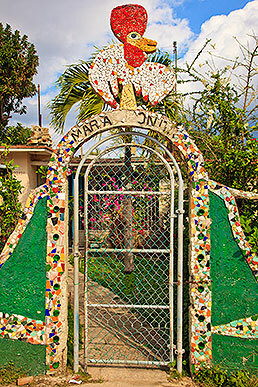 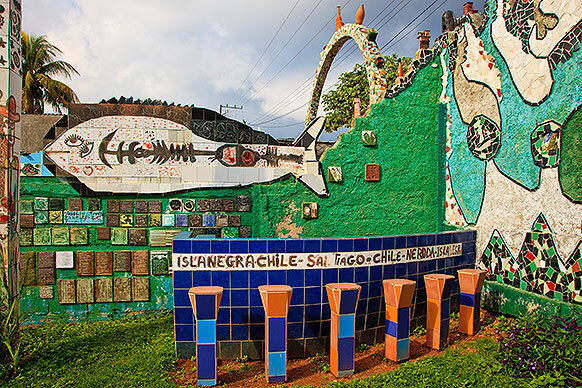 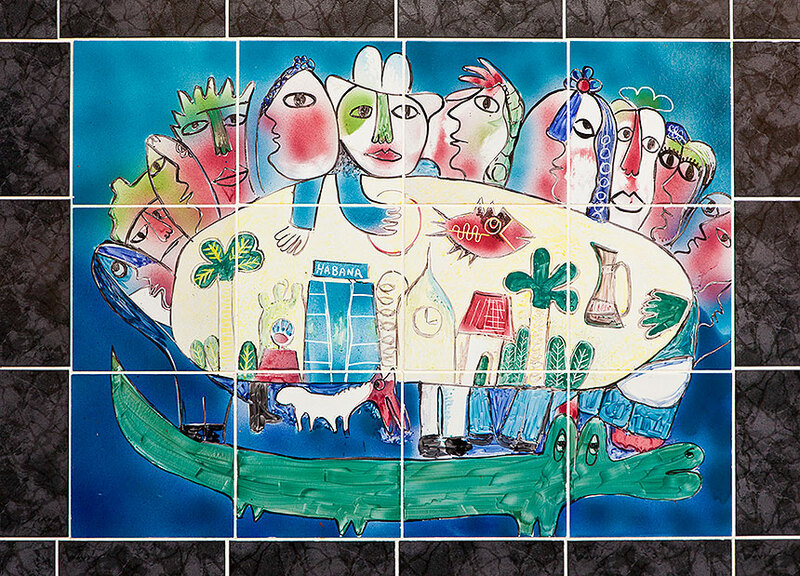 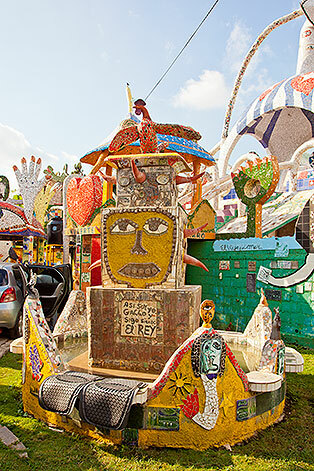 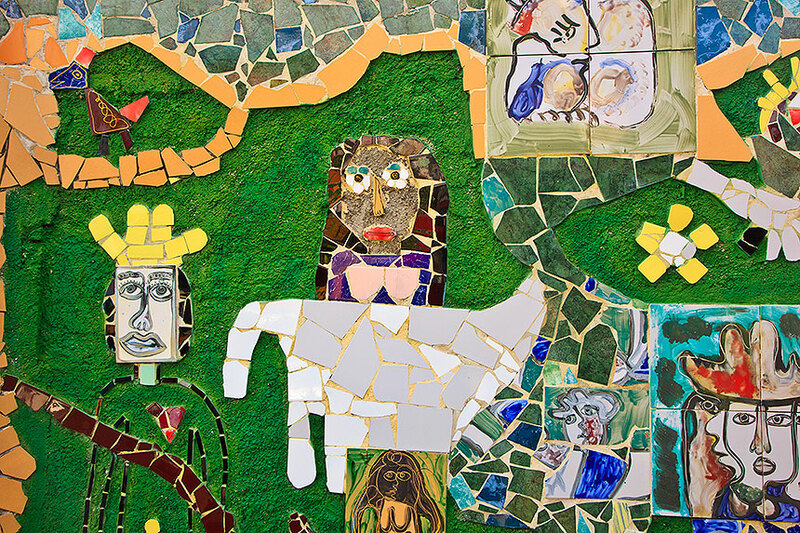 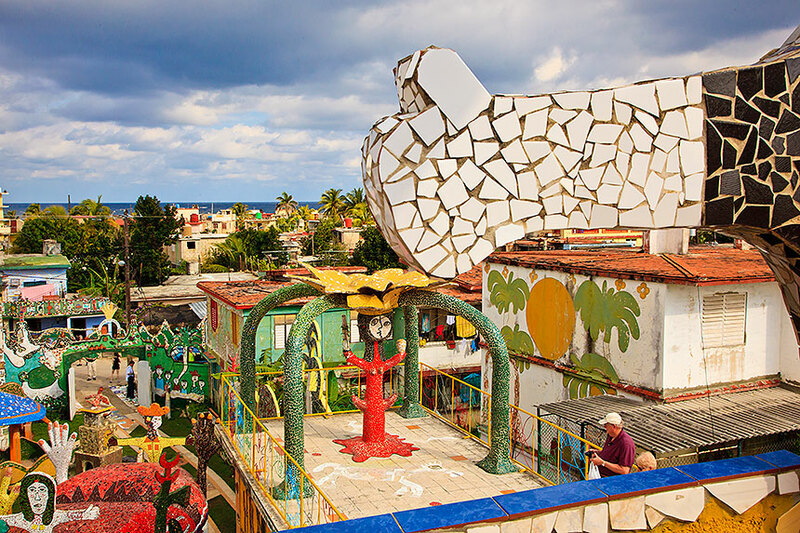 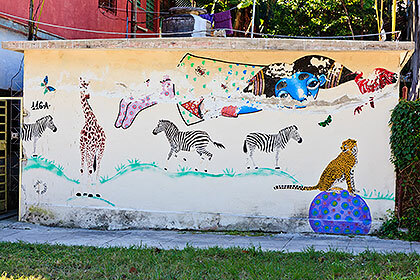 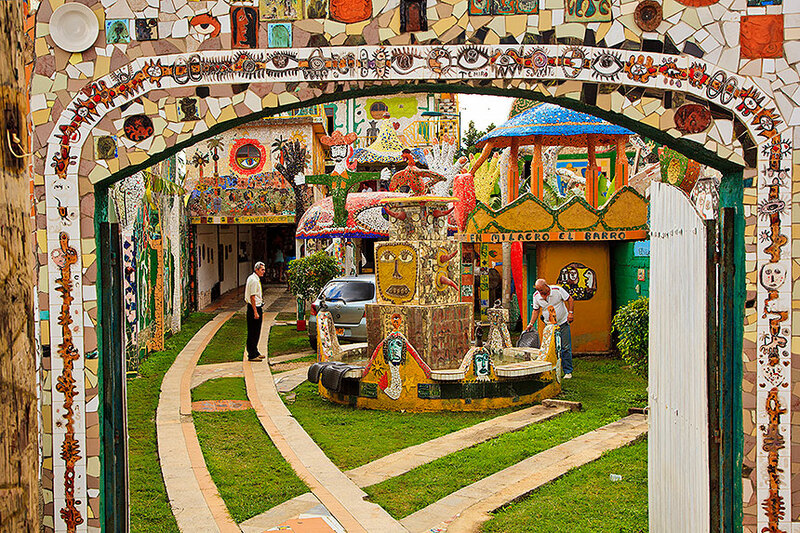 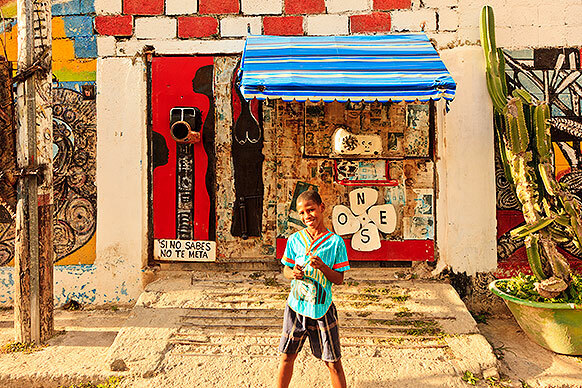 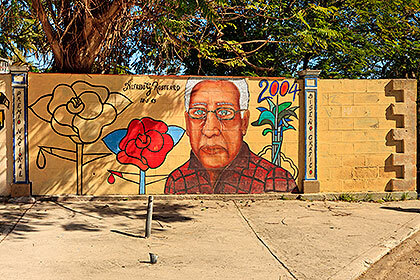 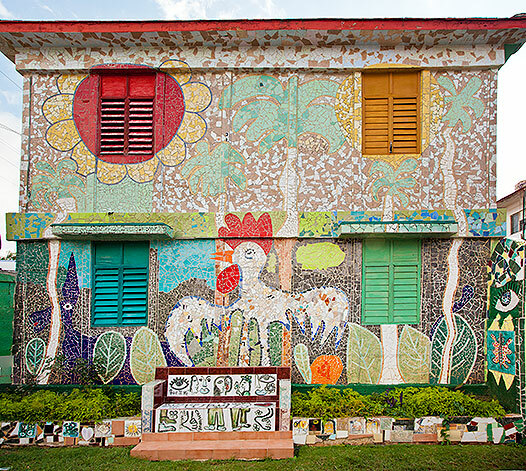 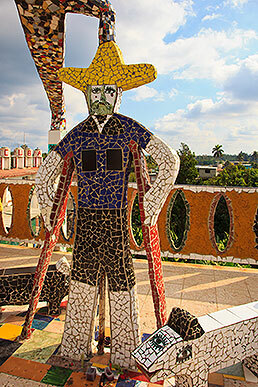 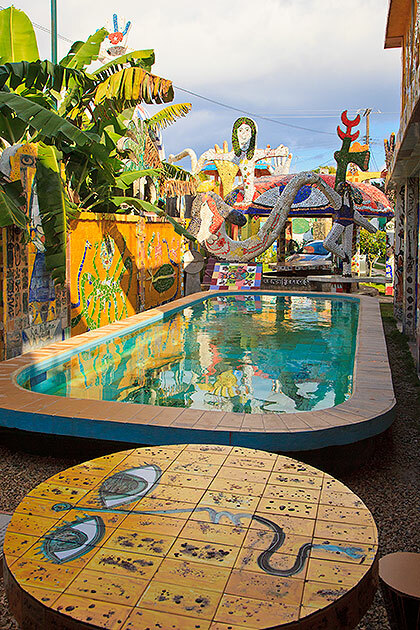 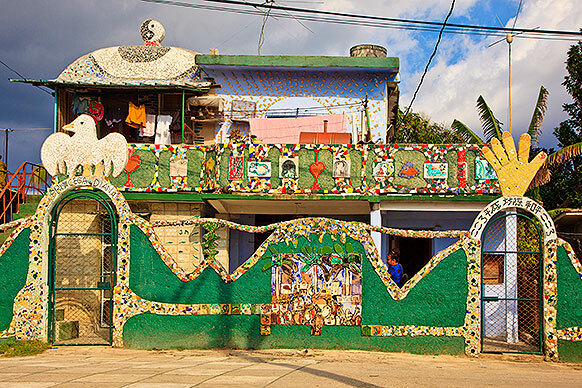 Through the sale of his paintings, ceramics and other works, Mr. Fuster has carried out many renovations and decorative art projects throughout the fishing town of Jaimanitas (on the west outskirts of Havana). 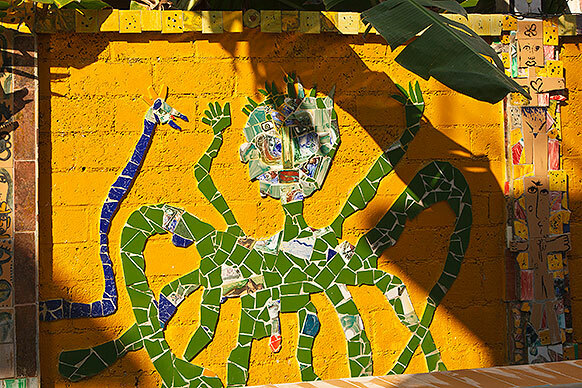 His work has been compared to that of Gaudi in Barcelona. 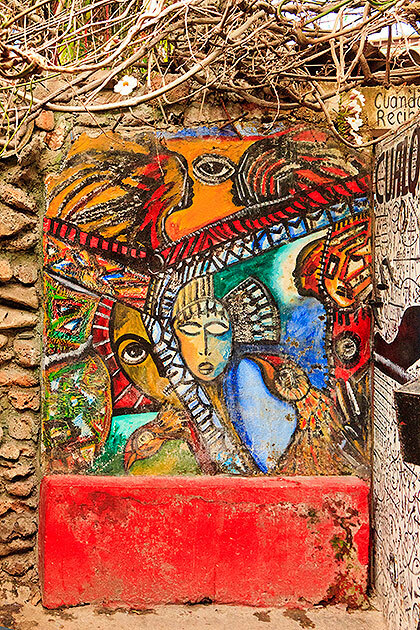 Callejón de Hamel is a street in Havana; it is also the art project of Salvador Gonzáles Escalona, a painter, muralist and sculptor without formal art training. 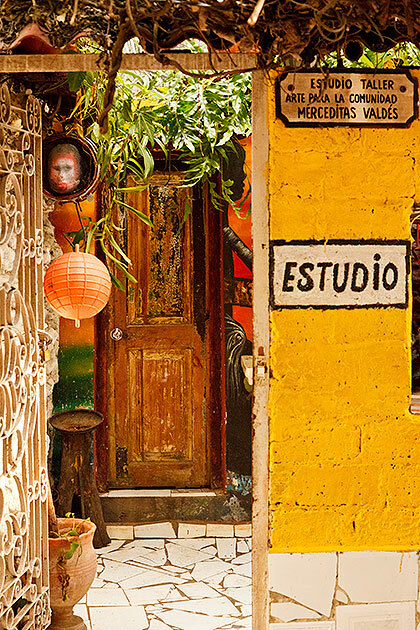 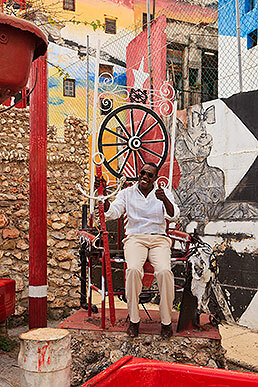 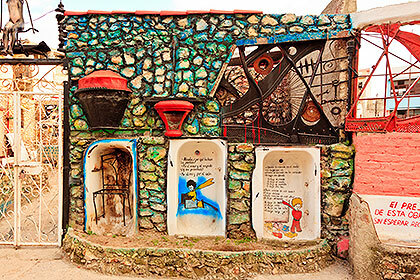 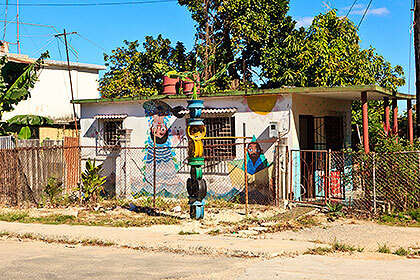 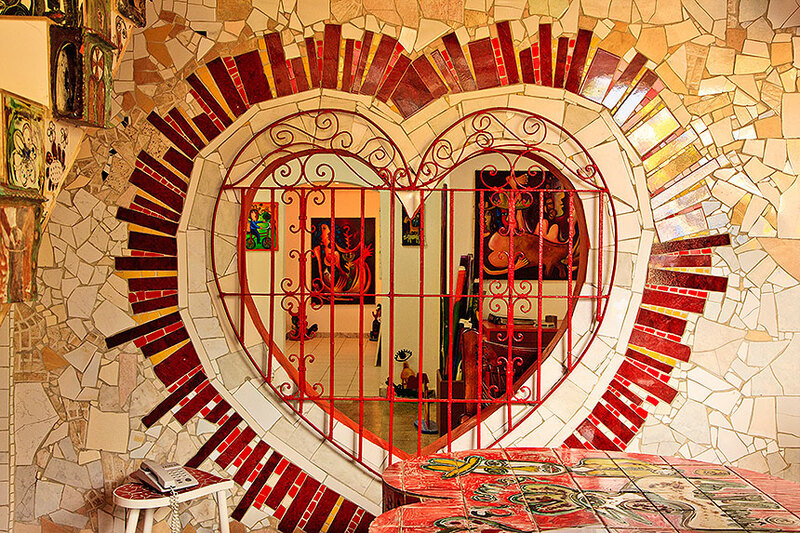 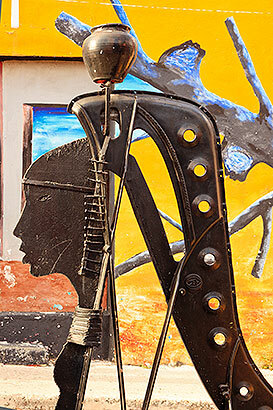 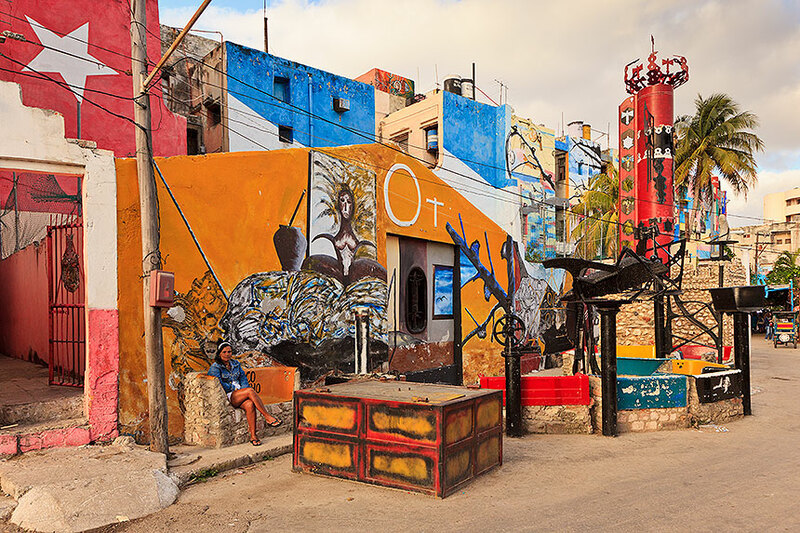 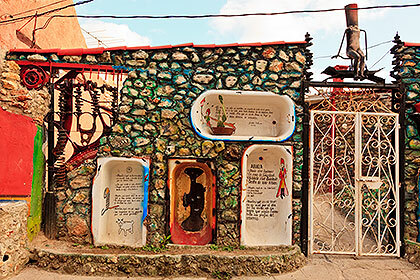 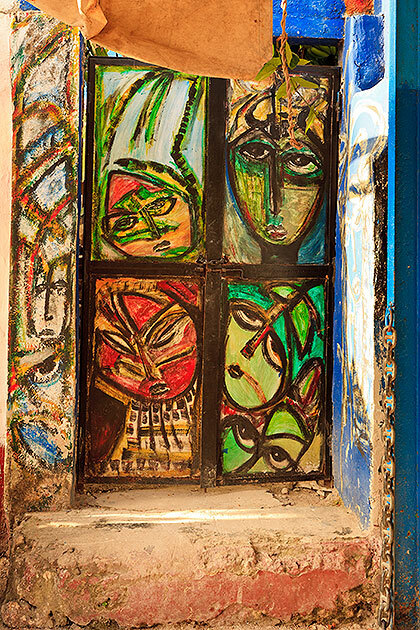 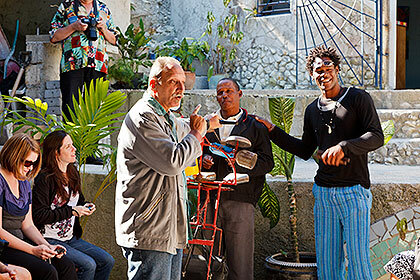 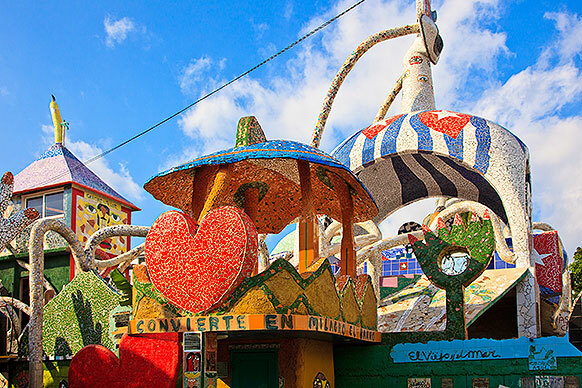 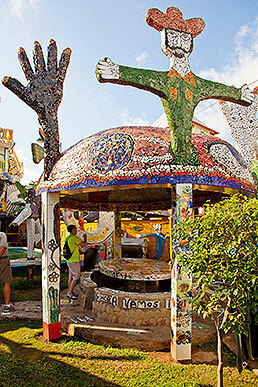 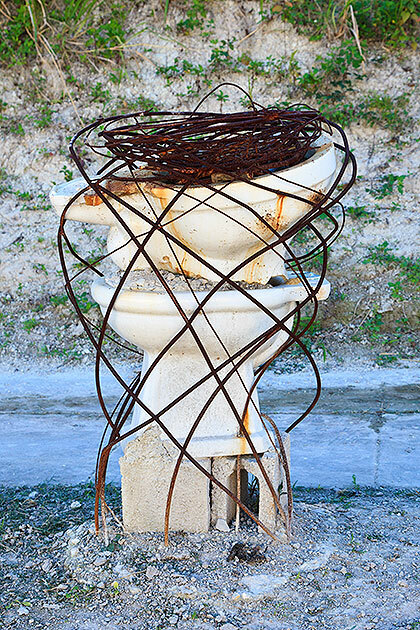 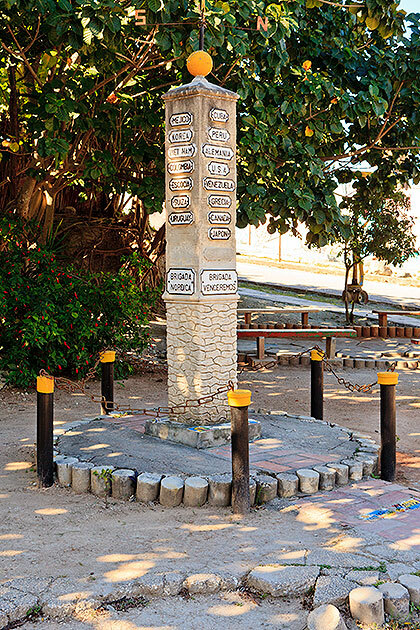 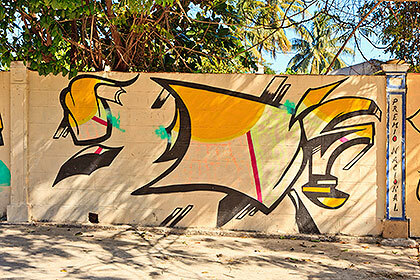 The project has turned a run-down street into a thriving center of Afro-Cuban art and culture. 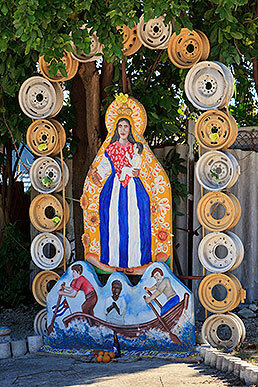 Escalona uses thrown-away objects such as car wheels, and paints his murals with car enamel rather than traditional artist oil paint. 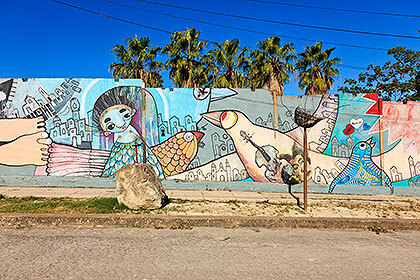 Muraleando is a neighborhood and community that has literally been transformed by art. 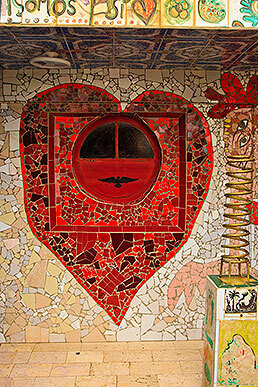 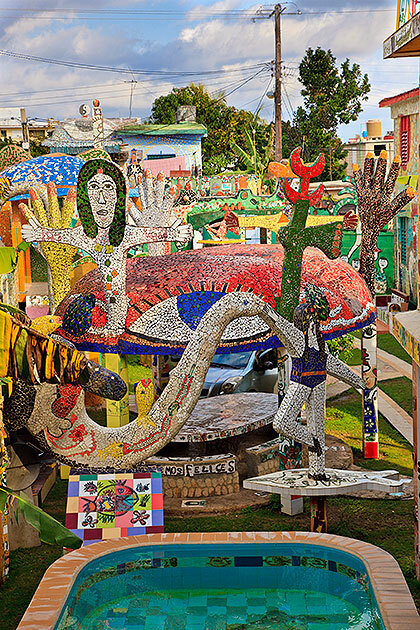 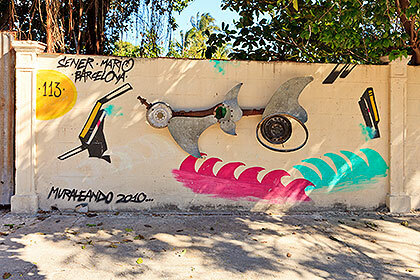 Starting in	the 1990's, the community has embraced what we might call street art, covering just about every wall and home with murals and placing sculptures made from found objects as well. 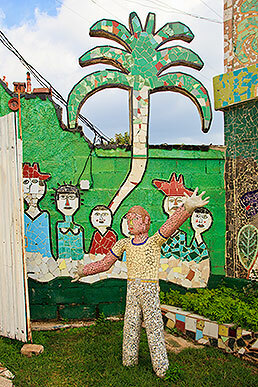 A nearby city dump supplied much of the material. 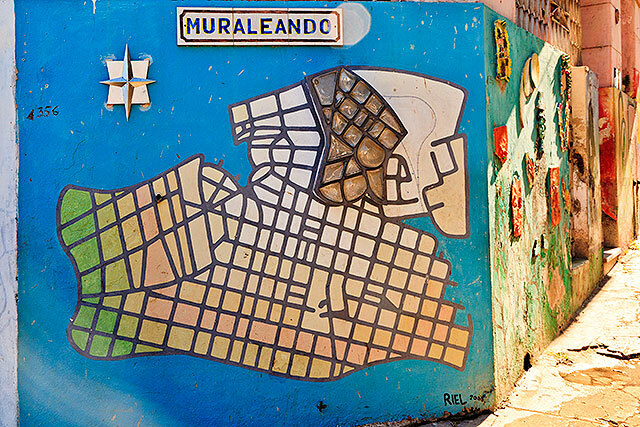 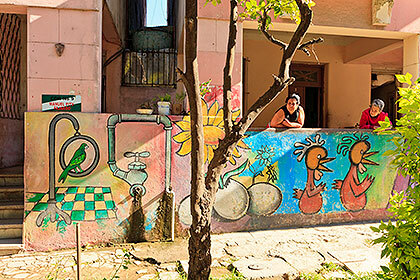 Muraleando's murals have found much appreciation from artists and visitors, and cooperative projects with international artists have followed. 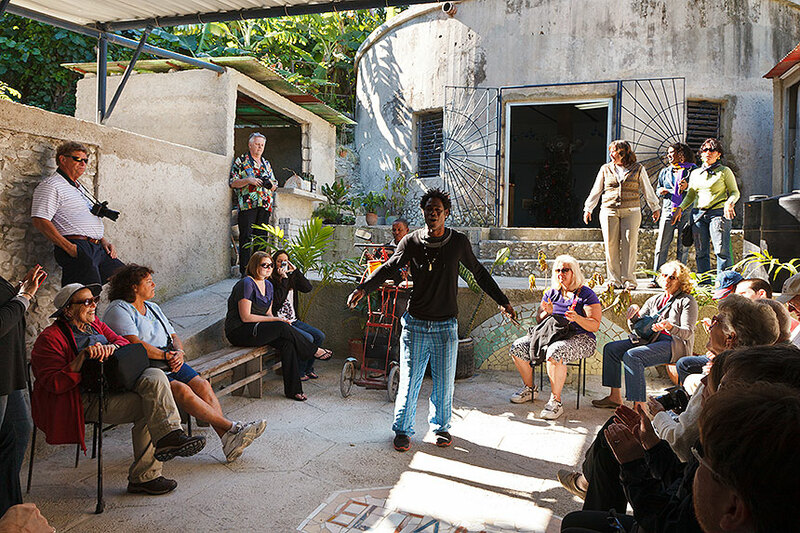 The community transformed a 100-year-old water tank into the heart of a community center, and we are entertained there during our visit. 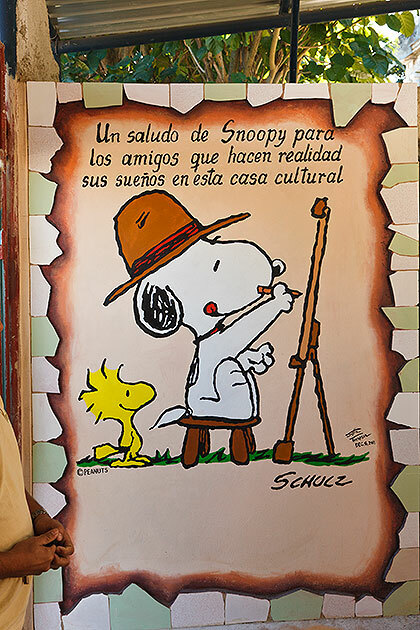 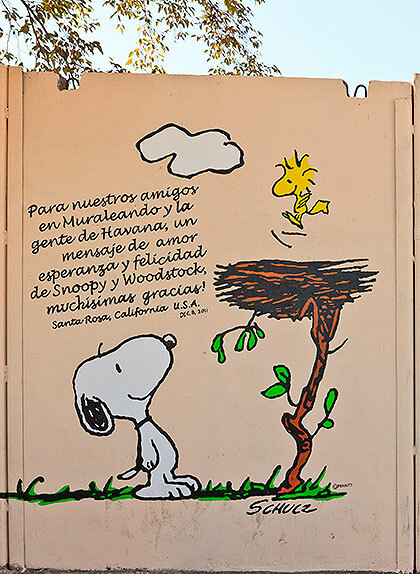 Jeanne Schulz, the widow of cartoonist Charles M. Schulz, visited Muraleando, and subsequently funded and authorized artist Justin Thompson to paint a couple of Peanuts murals -- one outside and one inside the community center. 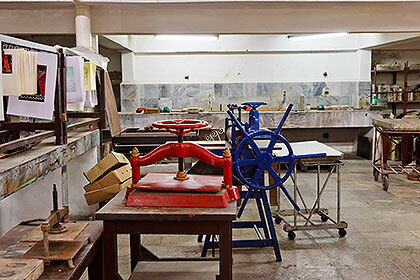 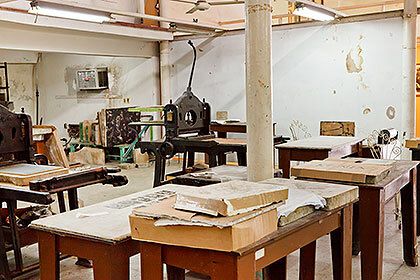 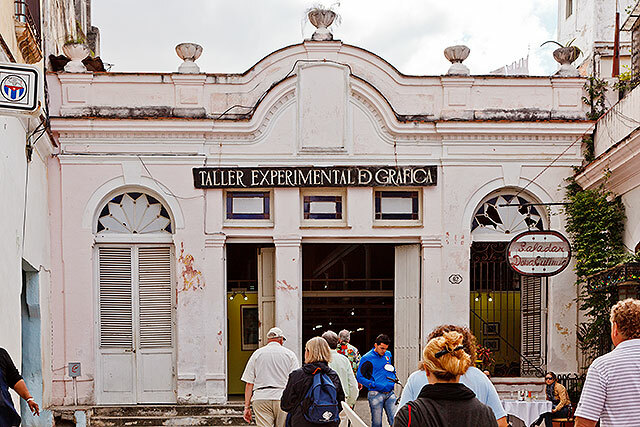 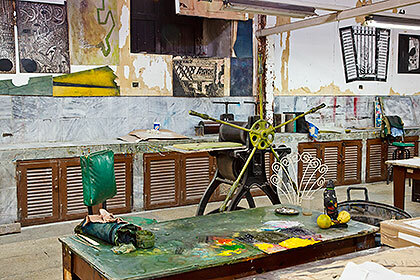 This is an artists' seminary, workshop and gallery in Havana, teaching artists the techniques of lithography and other print making skills. 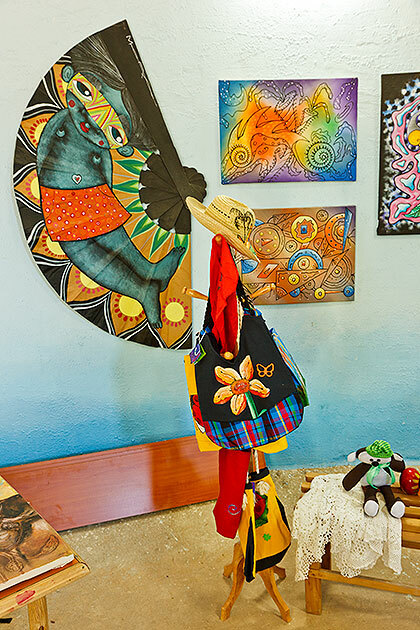 Works by the students are offered for sale in a small shop above the working space.